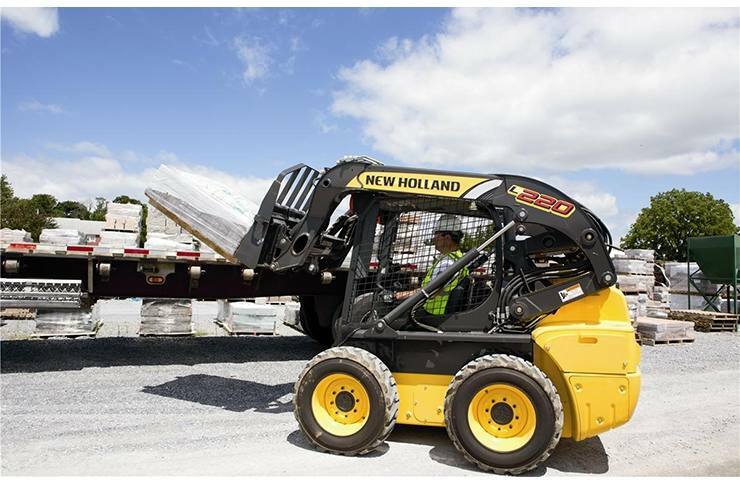 No matter what your line of work—landscaping, construction or property maintenance—you'll complete your jobs more quickly and effectively with a New Holland 200 Series skid steer loader. Excellent Dump Height And Reach: The patented New Holland Super Boom® vertical lift linkage delivers maximum reach at maximum height, allowing you to precisely place loads in the center of trucks. Rock Solid Stability: A smooth, stable ride results from a new, longer wheelbase, low center of gravity and correct front-to-rear weight distribution. Excellent Visibility: Better visibility allows you to work more confidently and quickly to improve your overall efficiency. A lower door threshold allows for better sightlines to the bucket cutting edge and to the trench, and the see-through area on the cab roof provides a clear view to the bucket at full height. Rear visibility is among the best in the industry due to a large window, low engine hood and no rear frame towers. 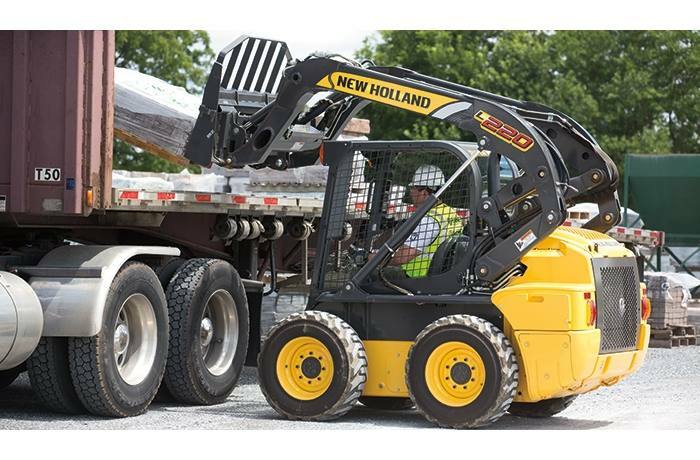 Service Made Easy: Long service intervals mean New Holland skid steers spend less time in the shop. The swingout rear door and hood provide easy access to maintenance checkpoints. You can access engine oil, fuel fill, hydraulic oil, coolant and radiator points without tools. Unmatched Access: The entire cab and boom lift assembly tilts forward for unrivaled access to components and easy cab cleanout. 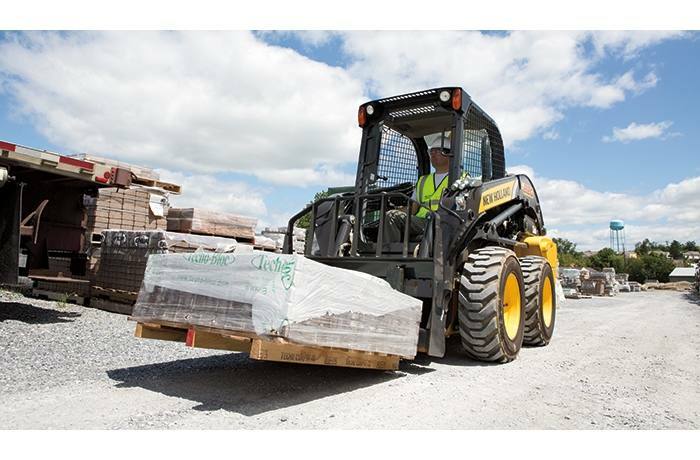 Built-In Comfort: The wide cab offers superior operator comfort and visibility to critical areas, allowing operators to work with a new level of confidence and speed. 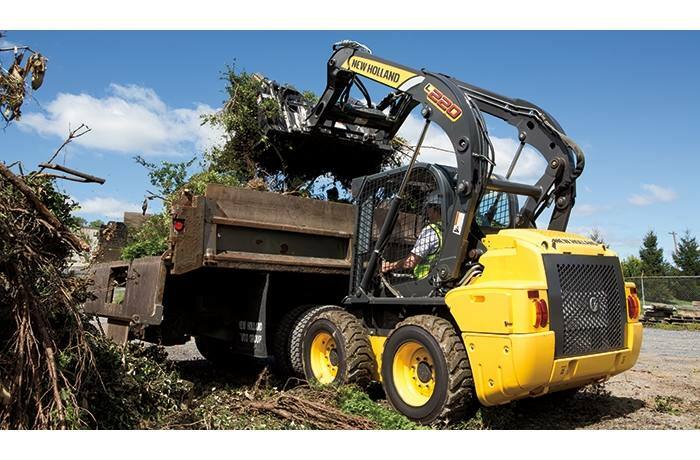 Your neighborhood New Holland dealer is here to help you tackle spring. 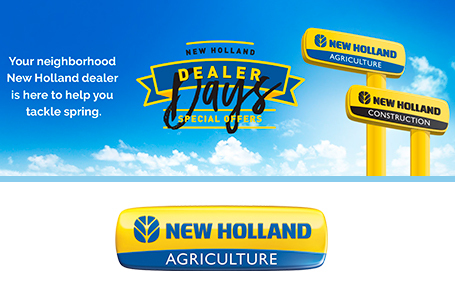 Stop by the Dealer Days event going on now to get special offers on select New Holland equipment. 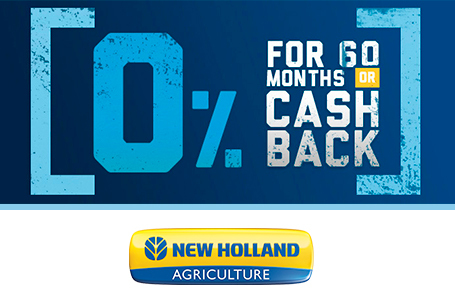 It all ends June 30, 2019, so hurry in to your New Holland dealer today to check out the deals.